WORLD'S FAIR, Sept. 28. — (Special.) — The Parliament of religions reached a point where sharp acerbities develop. The thin veil of courtesy was maintained, of course, but behind it was ill feeling. Rev. Joseph Cook criticised the Hindoos sharply and was more sharply criticised in turn. He said that to speak of a universe that was not created is almost unpardonable nonsense, and the Asiatics retorted that a universe which had a beginning is a self-evident absurdity. Bishop J. P. Newman, firing at long range from the banks of the Ohio, declared that the orientals have insulted all the Christians of the United States by their misrepresentations of the missionaries, and the orientals, with their provokingly calm and supercilious smile, replied that this was simply the bishop's ignorance. In response to the question direct, three learned Buddhists gave us in remarkably plain and beautiful language their bed-rock belief about God, man and matter. His [Dharmapala's] peroration was as pretty a thing as a Chicago audience ever heard. Demosthenes never exceeded it. 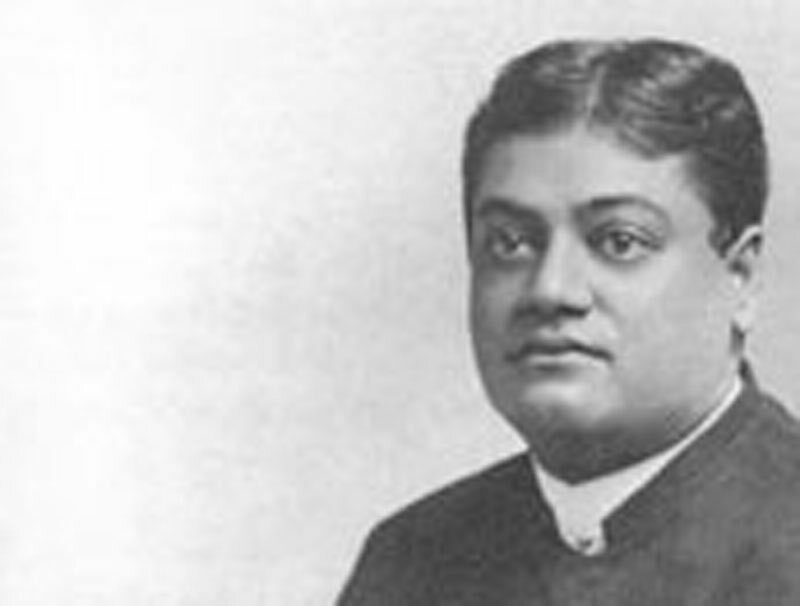 Swami Vivekananda, the Hindoo monk, was not so fortunate. He was out of humor, or soon became so, apparently. He wore an orange robe and a pale yellow turban and dashed at once into a savage attack on Christian nations in these words: "We who have come from the east have sat here day after day and have been told in a patronizing way that we ought to accept Christianity because Christian nations are the most prosperous. We look about us and we see England the most prosperous Christian nation in the world, with her foot on the neck of 250,000,000 Asiatics. We look back into history and see that the prosperity of Christian Europe began with Spain. Spain's prosperity began with the invasion of Mexico. Christianity wins its prosperity by cutting the throats of its fellow men. At such a price the Hindoo will not have prosperity." And so they went on, each succeeding speaker getting more cantankerous, as it were.
. . . The subject of Christian work in India calls Vivekananda, in his brilliant priestly orange, to his feet. He criticises the work of Christian missions. It is evident that he has not tried to understand Christianity, but neither, as he claims, have its priests made any effort to understand his religion, with its ingrained faiths and race­prejudices of thousands of years' standing. They have simply come, in his view, to throw scorn on his most sacred beliefs, and to undermine the morals and spiritualist of the people he has been set to teach. Perhaps the most tangible result of the congress was the feeling it aroused in regard to foreign missions. The impertinence of sending half-educated theological students to instruct the wise and erudite Orientals was never brought home to an English-speaking audience more forcibly. It is only in the spirit of tolerance and sympathy that we are at liberty to touch their faith, and the exhorters who possess these qualities are rare. It is necessary to realize that we have quite as much to learn from the Buddhists as they from us, and that only through harmony can the highest influence be exerted. "I am He that am in every religion — like the thread that passes through a string of pearls." "Holy, perfect and pure men are seen in all creeds, therefore they all lead to the same truth — for how can nectar be the outcome of poison?"